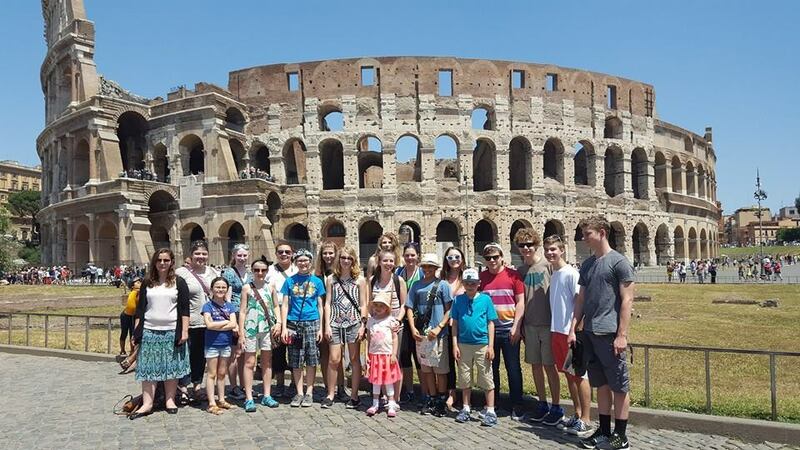 ​Singing at our first mass, pizza lunch, tour of Ancient Rome, gelato and a lovely dinner! A jam packed day. These singers and chaperones were amazing - everyone was up early, dressed and having eaten breakfast - ready to leave the hotel ahead of schedule. What an unforgettably beautiful sound singing at mass this morning! We had extra time to warm-up this morning. Both warm-ups and the mass were stunning. It was such a great experience to sing in this venue - even more gran acoustics than at Saint James last weekend. Singers and chaperones all kept up and stayed positive for a full day, even while dealing with jet leg. We walked about 7 miles total today! Time for sleep. 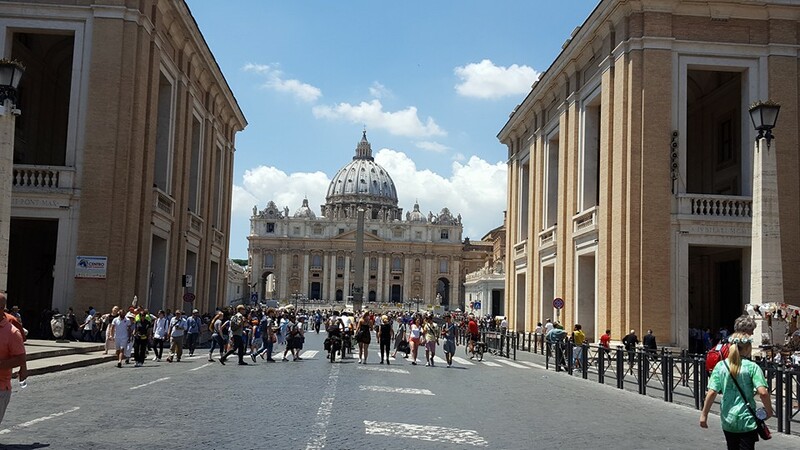 ​We spent the morning at the Vatican! Thankful to skip past the long lines with our group entrance pass, it was sensory overload with so much art and high season crowds. But we persevered and made it through - seeing the many ancient and grand masterpieces including the Sistine Chapel and Saint Peter's Basilica. Then a quick lunch before boarding our bus for the 4 hour drive to Montecatini Terme. We are already in love with this little town. Dinner was four courses: lasagna and pesto pasta with bread, salad, meat and peas, caramel custard dessert! Singers are making plans to explore the town and go swimming in the morning. ​We just returned home from our first concert! We had a relaxing morning of exploring Montecatini and swimming in the hotel pool. 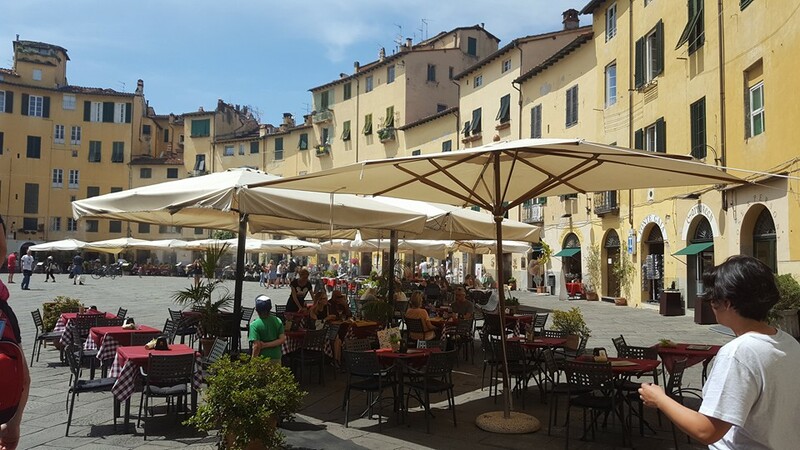 Then it was off to the beautiful little town of Lucca and the Leaning Tower of Pisa, followed by our first concert in the hill top town of San Miniato. The church and choir that hosted us were so welcoming, kind and generous! They performed several songs with their choir and pipe organ before we gave or concert. Some of our chaperones got videos which will hopefully be loaded soon! This was definitely our best performance yet and the acoustics in the medieval church of San Domenico were breathtaking. The concert went late - and then our hosts provided a complete meal of various local Italian foods and desserts in their basement. It was such a beautiful evening of sharing. With the late night concert and dinner reception, we did not leave for our hotel until midnight. Everyone is looking forward to a slightly more relaxed day tomorrow. We are delaying our start to allow for some extra sleep tonight. 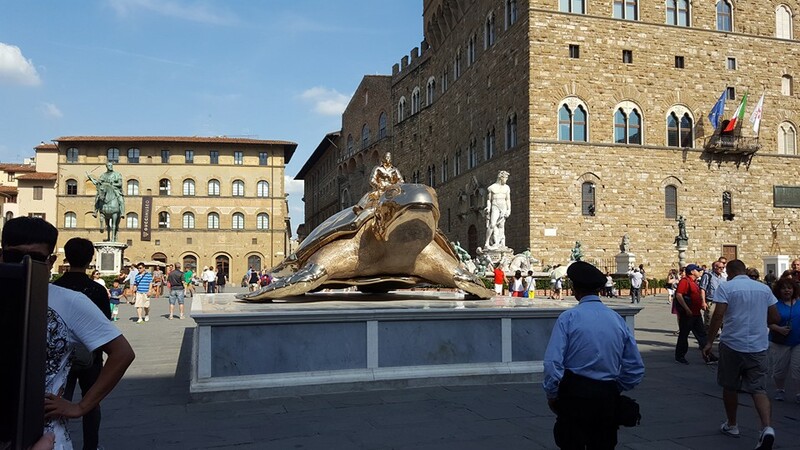 ​After a relaxed morning at the hotel (and some visits to local shops and a grocery store) we headed to Florence. We had a great tour guide who took us into the Galleria Academia to see "David" and taught us all about Michaelangelo and his sculpture work. Then we went on a walking tour of the city to see all of the main sights before exploring Florence in small groups (free time always equals LOTS of gelato!). We returned by bus to our hotel and had a relaxing three course dinner. The hotel cooks baked a special cake and presented it to us after dinner! They wrote the sweet message of "Matthew Academy Choral" because they knew that Matthew (from the tour company) organized our trip and we were a choral academy. Everyone is packing to move to our 3rd hotel tomorrow morning. ​After a relaxing breakfast on our final morning at the gorgeous Hotel Settentrionale Esplanade, singers went for a quick dip in the pool or souvenir shopping. Then we boarded the coach for our 4 hour trip to Mantova. We stopped enroute for lunch at a cafeteria style restaurant/truck stop built across the highway that had something for everyone - lasagna or pasta (same "made in Italy" brand we find at our Gig Harbor Costco! ), hamburgers and fries, salad, fruit and even giant salami! Upon arriving in Mantova, we drove past the Gonzaga summer palace before checking in to our new hotel. Then we went for a walk through town with our incredible new friend and tour manager, Valerie - seeing the many local sights. 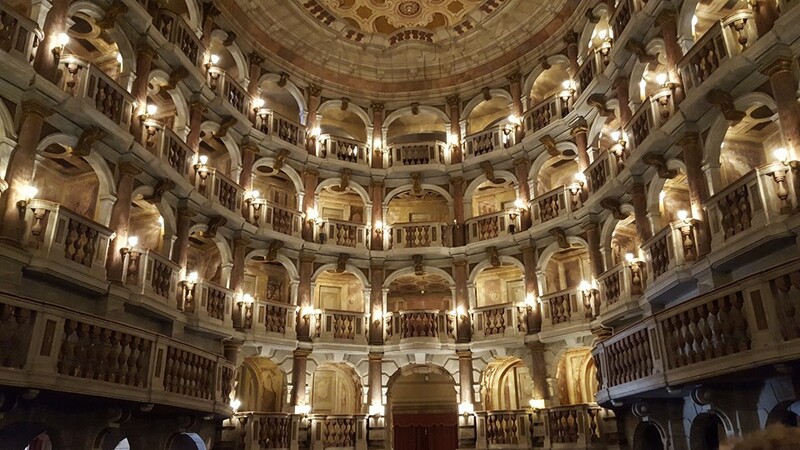 The highlight was stopping in to the Teatro Bibiena - a theatre where Mozart performed as a young child. We were able to explore this beautiful theatre and even perform a few of our favorite songs on stage! What a magical experience to sing where Mozart played! Then we had time in small groups to check out our new town before a group dinner at a fabulous local restaurant. Once again, we were served three full courses and dessert - risotto, pasta, roast beef with polenta and spinach and Mantova cake! Then a few singers somehow managed to find room for gelato on the way back to our hotel. Now it's time for bed. Tomorrow: Venice! 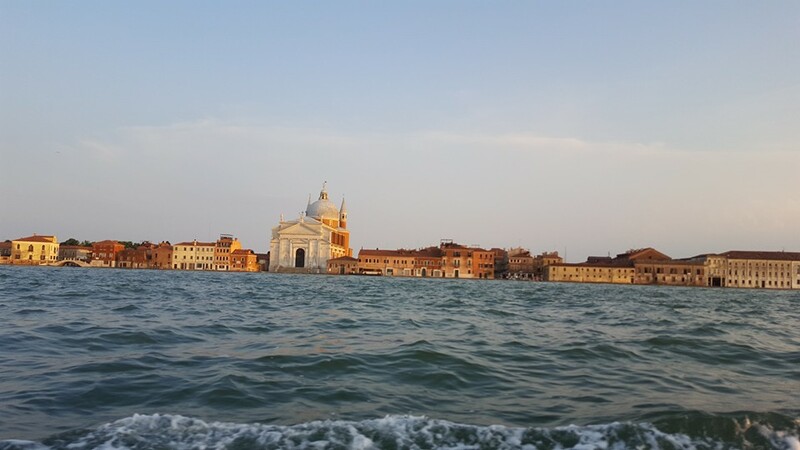 ​We spent a full day in Venice! After our private boat launch to enter the city, we explored and ate lunch in small groups before gathering for a guided tour. What a Romantic city! I think all of us want to return again someday and stay longer! The highlight of the day was singing for mass at San Marco. We were excited to skip the lines and enter via the locked back door. We changed into concert clothes in the basement in a hallway lined with impressive artwork that's usually off limits to the public. Then we were escorted to an area set up for our choir near the front of the sanctuary. The choir sounded lovely! And the interior of the church was so elaborately decorated it is impossible to see every detail- so much gold! We were asked not to take photos- but after mass, local attendees started snapping photos of our choir (so we did too!). We also received a strong applause at the end of mass, following Ave Maria. And several people come up to thank us. We have all learned how to say, "Grazie!" and "Prego!". A very memorable day indeed! Day #7 Mantova & Sabbioneta. ​Wow! What a day - two masses and a concert for a full house! 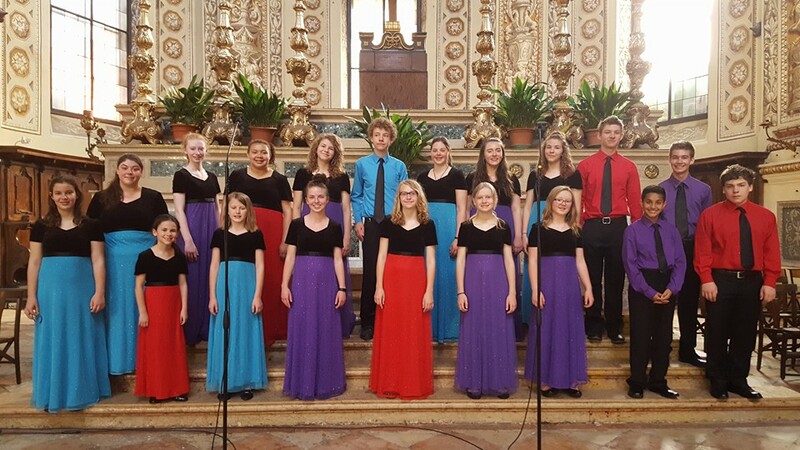 We started the day by singing for the local Basilica did Sant'Andrea here in Mantova, which was very well attended. Our singers sounded beautiful in this recently restored church, now deemed to be one of the finest examples of Renaissance art. Following mass, we had lunch in small chaperone groups. Then we departed by coach for Sabbioneta, where the local priest met us at the entrance to this walled, "perfect" castle city - originally built as a fort and personal residence for the Gonzaga family. He gave us a small tour of the town on the way to the church where we were to give our final concert - Chiesa dell'Assunta. The priest showed us their unique frescoes and large collection of relics. Then we rehearsed for about an hour in the church. The priest (who also happens to direct choirs) invited us to sing for their mass in addition to the concert immediately following - and of course, we accepted! We then took a quick walk around the city (a UNESCO world heritage site) and stopped in to the famous Teatro Antico. Our singers did so well - changing quickly and having a quick snack (gelato for some, fanta or fizzy water for others!) before the mass. The mass was well attended and we received another huge applause following the service. Most of the congregation also stayed for the concert. A large number of additional attendees arrived right as the mass was ending. We sang our final concert to a full house - it was such a beautiful performance! We received many compliments (saying we sounded like voices of angels) and a few hugs from local women who have adult children now living in Seattle (working at Microsoft). Then the priest joined us for a celebratory dinner at the local Ristorante Ducale. And he invited us to see another local church that was in the process of being restored - so we made a quick stop before leaving their town. The frescoes in this church are carved out of thick stone to create ornate windows to see paintings on the upper level ceiling and are very impressive. Architects of today cannot figure out how it was constructed - they say it would be impossible to do with modern methods. The priest explained that aside from the two churches we saw in Sabbioneta - the only other place they have a church with carved frescoes like this is in Germany. We arrived back at the hotel late, still needing to pack and sleep. What a day! 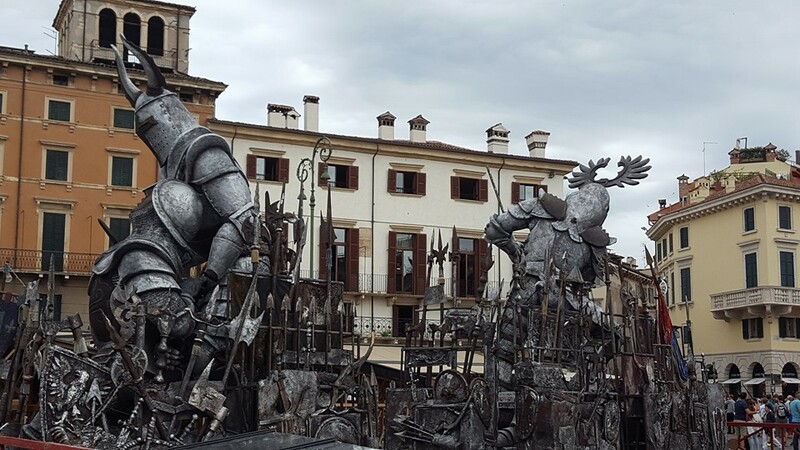 ​We checked out of our hotel in Mantova and spent the day in Verona. We toured the famous Verona Arena and even sang a few of our songs inside to test the acoustics. It was interesting to see all of the opera sets being stored in the nearby streets. Then we continued through the town with our guide, visiting the many popular sights and ending with Romeo's palace and Juliet's balcony. Many of our singers followed the tradition of touching Juliet's breast in hopes of having good luck with future love. After lunch on our own and souvenier shopping, we said our farewells to the Gilman Family (leaving them in Verona to continue their Europe journey) and continued by coach to our final hotel near the airport. We had a delicious final dinner of pasta, bread, chicken, potatoes and cake. We have breakfast in a few hours at 7am - then head to the airport to check in for our flights home! This is such a bittersweet end to a magnificent tour! We are excited to return home and see our families - but also wish the tour could last just a little bit longer.